Mayor Michael R. Bloomberg’s long-awaited New York City Charter Revision Commission is expected to be named on Tuesday, February 23, 2010. According to a highly-placed source, the commission will be chaired by CUNY Chancellor Matthew Goldstein. 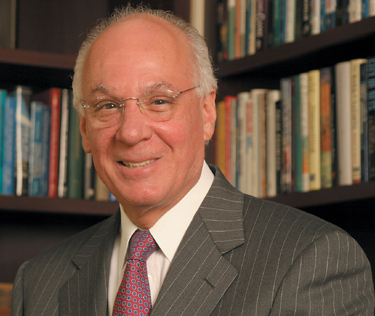 Goldstein, a graduate of City College and former president of Baruch College, Adelphi University, and the Research Foundation of CUNY, was first mentioned as the leading 2010 charter chair candidate by Adam Lisberg, Daily News City Hall Bureau Chief, on February 9. Lisberg’s story cited some insiders’ concerns about Goldstein’s ability to remain free of Mayor Bloomberg’s control, while other sources dismissed this, predicting Goldstein’s independence. As we’ve said before, a lot depends on who heads the commission’s staff as executive director. More to come after the mayor’s announcement. This entry was posted in 2010 NYC Charter Revision and tagged 2010 charter revision, bloomberg charter, Matthew Goldstein, Mayor Bloomberg, Michael R. Bloomberg, New York City Charter, NY charter commission, NY charter revision. Bookmark the permalink.